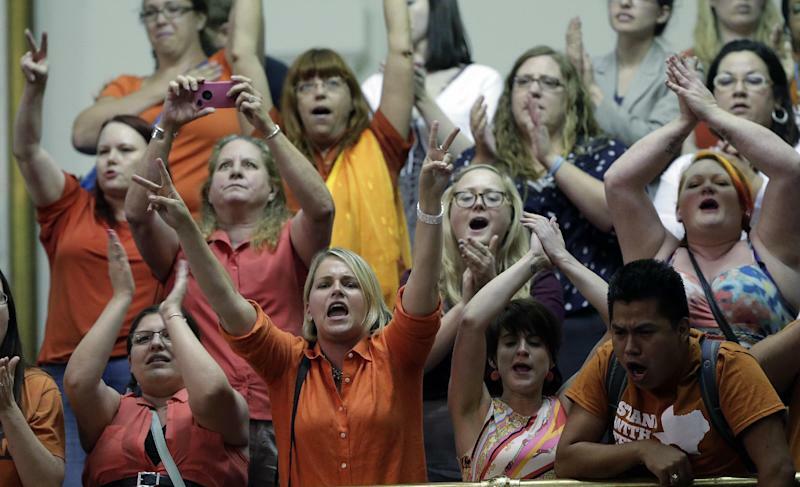 AUSTIN, Texas (AP) — Despite barely beating a midnight deadline, hundreds of jeering protesters helped stop Texas lawmakers from passing one of the toughest abortion measures in the country. "My back hurts. I don't have a lot of words left," Davis said when it was over and she was showered with cheers by activists who stayed at the Capitol to see her. 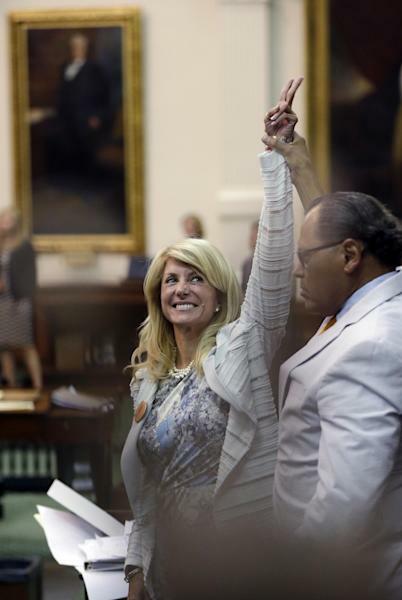 "It shows the determination and spirit of Texas women." Davis' mission was cut short but her effort ultimately helped Democrats earn a rare victory in a Legislature dominated by Republicans for more than a decade. "It's a bad bill," said Sen. Kirk Watson of Austin, leader of the Senate Democrats. If signed into law, the measures would have closed almost every abortion clinic in Texas, a state 773 miles wide and 790 miles long with 26 million people. A woman living along the Mexico border or in West Texas would have to drive hundreds of miles to obtain an abortion if the law passed. The law's provision that abortions be performed at surgical centers means only five of Texas' 42 abortion clinics are currently designated to remain in operation. Republicans and anti-abortion groups insisted their goal was to improve women's health care, but also acknowledged wanting clinics to close. The showdown came after Davis had slogged her way through about 11 hours of speaking while Senate Republicans — and several House members — watched and listened for any slipup that would allow them to end the filibuster and call a vote. Democrats chose Davis, of Fort Worth, to lead the effort because of her background; she had her first child as a teenager and went on to graduate from Harvard Law School. Lawmakers can vote to end a filibuster after three sustained points of order. As tension mounted over Davis' speech and the dwindling clock, Campbell, a first-term lawmaker from New Braunfels, made the call on the third violation, sparking nearly two hours of debate on how to handle it. After much back and forth and senators shouting over each other, the Republican majority forced a vote to end the filibuster minutes before midnight, sparking the raucous response from protesters. Senate security and several Department of Public Safety state troopers tried to quiet the crowd but were simply outnumbered and had no hope of stopping the outburst. Sen. Dan Patrick, R-Houston, blamed the confusion surrounding the final vote on the demonstrators and Democratic senators who urged them on. "Had that not happened, everyone would have known," what was happening, Patrick said. Standing next to him was Sen. Juan "Chuy" Hinojosa, a Democrat. "This is democracy," Hinojosa said. "They have a right to speak." Follow Jim Vertuno on Twitter: http://twitter.com/JimVertuno .